Reliance Jio which has disrupted the mobile network space with its data-driven ultra cheap network. Now, the company is all set for its next big step. Jio Fiber, the broadband service provider from Reliance Jio is going to be available to the public very soon. The Jio Fiber has been in its development and testing phase from September 2016. 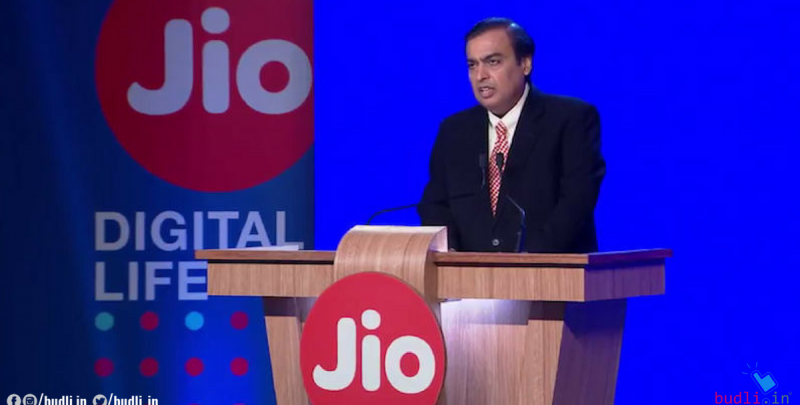 In the month of May 2017, Reliance Jio started rolling out this Jio Fiber broadband connection to selected cities in India – Chennai, New Delhi, Mumbai, Ahmedabad, and Jamnagar. All the initial offering on the name of Jio Fiber were free, which means that the users were given free data in this “Initial plan”. Jio calls the new Fiber internet service as a fiber-to-the-home (FTTH) and it said that the speeds range from 70 MBPS to 100 MBPS. The initial plan offers a 100GB FUP with speed of 100 MBPS. Post which the data can be top-up with additional 40GB and this top-up can be done 25 times a month. The total data provided per month according to this allocation of data accounts to 1.1 TB of data. The speed of internet post the 100GB FUP is said to be around 1 MBPS (Not confirmed). Reliance Industries is planning to release this service to the public later this year and they are aiming at both household and corporate holdings with a target of 100 million users as an initial milestone. The initial plans of Jio Fiber which are currently running in selected cities had the users to pay an amount of Rs 4500 as a refundable security deposit. For this amount, Jio Fiber will provide a router which can also be used as a set-up box with the TV to watch the television with the help of IPTV. Reliance Industries have already laid the fiber optics required of more than three lakh kilometers which should be good enough to give Jio Fiber a kick start once it is made public. Do you want to enjoy all these amazing benefits of Jio Fiber services? Then you need to get your hands on the best possible laptop. Such a laptop which has the right hardware and storage options which can help you make the most of the Jio Fiber. So where can you can a decent laptop without putting a hole in your pocket? It’s pretty simple, get yourself a refurbished laptop. Refurbished laptops are the best in terms of quality and performance. They are as good as the new ones and yet come at a relatively lower price than the original product cost. The lower cost does not mean any kind of degrade in performance or quality – it is just a gesture done by the company which makes it easy to sell the refurbished product. The refurbished products are on-par with the quality and performance of the original ones. If your thinking where can you get your hands on the refurbished laptops then you need not search any more because you are already there. Budli is the leading platform for refurbished products in India. We have a huge range of products ranging from laptops, smartphones to tablets. Do visit us at budli.in and grab your next best laptop now! !